Stories worth following this fall include two studies on financial toxicity and new developments in targeted cancer therapies for ovarian cancer and for metastatic breast cancer. The term “financial toxicity” refers to the adverse effects patients experience from the costs of cancer care–separate from the side effects of treatment itself. The effects can be both financial and physical when patients can’t afford needed treatments. In the Winter edition, I wrote about a study examining the physical effects of financial toxicity. Two recent studies focus on the impact of financial toxicity on patients during the course of their care. The first study, published in the journal Cancer, was led by Dr. Sharon Giordano, an oncologist and researcher at MD Anderson Cancer Center. The study assessed information on over 14,000 women who received chemotherapy as part of their breast cancer treatment between 2008 and 2012. It found that the costs of that treatment vary widely, even for treatments with similar efficacy. It also found that patients bear a substantial burden in out-of-pocket costs. And of course, those costs have continued to rise since 2012. The other recent study, also published in the journal Cancer, tested the use of a questionnaire to assess for individual patients the impact of dealing with the financial costs of their care. The study found that it’s indeed possible to measure financial toxicity and that higher financial toxicity was associated with a number of factors including, not surprisingly, employment status and household income. Both physicians and patients need greater access to information about the treatment costs, so this critical issue can be discussed during a patient’s decision-making process. In late 2014, the first in a new class of drugs called “PARP inhibitors” received approval from the FDA for the treatment of advanced ovarian cancer. 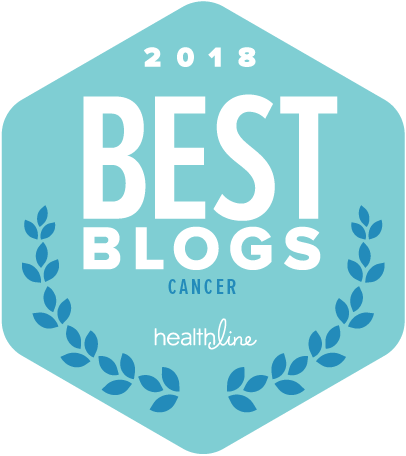 The drug, olaparib (Lynparza), was only approved for women whose ovarian cancer was associated with a BRCA gene mutation, and a companion genetic test was also approved. Recently, findings from a Phase III clinical trial of a different PARP inhibitor, niraparib, were published in the New England Journal of Medicine. The trial found the drug made a significant difference in progression-free survival across a wide range of ovarian cancer patients, including patients who did not have BRCA mutations. The FDA has granted a Fast Track designation to niraparib, which will expedite its review of the medicine to treat ovarian cancer. A recent article in OncLive provides more details on the clinical trial and its findings. One of the most interesting developments in 2015 was approval of the first CDK 4/6 inhibitor, a new type of targeted therapy, for hormone receptor-positive metastatic breast cancer. The drug palbociclib (Ibrance) was shown to more than double the average time to disease progression when combined with an anti-hormone therapy. The combination became a new standard of care available to patients with this subtype of disease. Several additional CDK 4/6 inhibitor drugs are now under development. One of them, ribociclib, was shown in results from an ongoing clinical trial to also significantly improve time to progression in combination with an anti-hormone therapy. The trial findings were reported in the New England Journal of Medicine. How does ribociclib compare with the already-approved Ibrance? Unfortunately, there is no information available to answer that question since the two drugs were studied in separate clinical trials and have not been compared head-to-head. Another major issue with both of these medications–and the newer targeted cancer medications in general–is their extremely high cost. The situation is reminiscent of the PARP inhibitor story. Now, years after early PARP inhibitors were shelved, patients with and without BRCA mutations are benefiting from this type of medication. The problem is not that these new drugs don’t work, but their costs, and how to test their use in combinations, against multiple tumor types, in clinical trials that don’t cost a fortune. Radiation therapy has not generally been recommended for breast cancer patients undergoing mastectomy as part of their treatment. New guidelines issued by three organizations jointly have changed this general guideline. The changes to the guidelines were influenced by findings from more recent studies as well as efforts to ensure treatment is more tailored to the needs of individual patients. The new guidelines recommend that radiation be considered for breast cancer patients undergoing mastectomy even if they are at relatively low risk for recurrence, with very small tumors and 3 or fewer positive lymph nodes. Recent studies have shown that for patients in this group, radiation after mastectomy does reduce both the risk of recurrence and mortality. However, the guidelines also make clear this is not a one-size-fits-all recommendation, and emphasize that patients and doctors need to consider the individual patient’s specific situation and the risks and benefits of radiation therapy. I like to include in this overview when possible a story about innovative earlier-stage research. One such story that caught my eye this time was about researchers who are working on a way to make a highly customized form of immunotherapy potentially more widely accessible. The study was published in Nature Communications. Immune system therapies for cancer in which blood cells from a patient are genetically modified and then infused back into the patient are still experimental at this stage. They are also highly customized to each patient and therefore extremely costly. The researchers are anticipating a time when these promising therapies begin to pan out and ways need to be found to enable more patients to have access to them. They’re developing a portable device, also called “gene therapy in a box”, that would allow medical personnel to genetically manipulate patients’ blood cells more readily and at lower cost. The device under development has been tested in animal models and found to be equivalent to the more complex methods currently in use. A recent article in Fred Hutch News explores the interesting background behind this research as well as next steps.